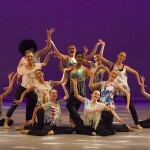 For several years now we’ve been proud to photograph Evergreen City Ballet’s performances. It’s always a pleasure to do stage and theater photography, especially dance. This year’s end of year performance was also the school’s 20 year Anniversary, and the lineup of dances also featured some of their past students and Performance Division dancers that came back to celebrate. You can view all of the photos on our Flickr account HERE.